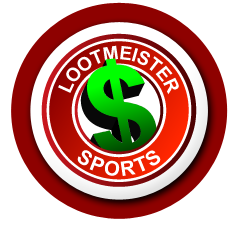 Welcome to Loot's page offering MMA betting tips! Here you'll find a list of articles that will help better educate you on how to win at mixed martial arts betting. Betting on a fight makes the viewing experience 10x what it normally would be. Many MMA fans wager blindly on a match, based on what they've seen on TV and heard through the mass media. As with anything inolving the exchange of money, you need to do your homework to make sure that you're making the proper decision, which in this case is should you or shouldn't you bet on a fighter. Don't settle for your potentially biased opinion on an MMA fighter. Do your homework by reading these articles and others like them so that you have a fighting chance to beat the sportsbooks and pocket some cash! Enjoy! Betting Against UFC Champions: Almost Always a Good Idea - The parity at the top of the UFC is a very real thing and it leads to most champions not being at the top for long. Considering the long odds that are given most champions in the UFC, betting on the underdog is a pretty viable move. In this article, Loot examines the dynamic of champions being short-lived and how that can equal cashing in on some big-priced underdogs. Click here to read more! The Power of Scrutiny - When we handicap an upcoming MMA match, we will usually go back and look at a fighter's record. Fair enough. In those records, there are two categories--wins and losses. And for anyone who knows about the sport, they know that within that over-generalized framework are tons of different variations. In other words, to gain a better sense of reality, we really need to probe beneath the surface. In this article, Loot breaks down how the power of scrutiny can give your MMA handicapping more teeth. Click here to read more! Dealing with Referees and Judges - MMA is still a pretty young sport that is going through some growing pains. That presents some different challenges for the bettors of MMA, particularly as it relates to the officiating of fights, where results can be spoiled by referees and judges. In this article, Loot profiles some of the different concerns we should have as MMA bettors, while offering some tips on how we can shield ourselves from fights marred by poor officiating. Click here to read! Outside the Octagon - What happens outside the octagon can have a major affect on how a fighter performs come fight-night. There are any number of different personal issues that have nothing to do with fighting, in addition to weight-making issues and other things that can seriously compromise the viability of a fighter you are thinking of betting. Click here, as Loot breaks down what we should look for to gain all the information we need to beat the bookie! Signs That a Fighter Has Good or Bad Wagering Value - After following MMA betting over the course of a few decades, you start to notice some different patterns for when a fighter is being overvalued and when a fighter isn't getting enough credit from the bookies. In this article, Loot breaks down some of the signs that should clue us in to whether we're getting good value or if we're getting the short end of the stick. Click here! Things That Can Make a Fighter Better - There are different things that can lead to a fighter being better than we handicapped. There are different conditions in a fighter's career or in a particular fight that can cause a spike in a fighter's motivation. Click here to read as Loot breaks down some of the different elements at play that could lead to a fighter performing better than the odds suggest. When a Good Sign May Be a Bad Sign - Not all that shines is gold. When making a case for a fighter to win a fight, we will often times latch on to different things that we think are positive signs. But then we find out there was a flip side to the coin. In this article, Loot breaks down some of the more common positive traits that often have a negative angle to it that can resonate negatively in fight. Being Swayed by Announcers - In this piece, Loot breaks down why it's easy to be led astray if depending on announcers to spell everything out for us. Loot analyzes why announcers are not typically the best ones to judge a fight, with all their other announcing responsibilities making it so they have too much on their plates. Click here to read why we shouldn't take what announcers say as gospel truth. Be Careful Betting Against Golden Boys - Loot talks about the dynamic that a bring name fighter brings to the table. When you put the comination together of fighting, money, jobs and Las Vegas, you're dealing with more than which fighter is better than the other. Loot explains more in this article. Watching Out for the Letdown Spot - It happens in all sports; A team or fighter ramps up for a big matchup, wins and then comes out deflated in their next match/game. The letdown is human nature and will always be prevalent where there is competition. Loot talks about how to detect and avoid falling into these traps with regards to betting. Choosing the Lesser-Known Fighter - Find out why fighters who are better-known than their opponents often lack the same betting value of their lesser-known counterparts. Loot explains how higher value can often times be found with fighters who lack name-value. The Psychological Obstacles of Picking Underdogs - It happens all the time. You see a big underdog win a fight when you had an inkling he was going to pull off the upset. Sometimes, there's some mental blockage when it comes to pulling the trigger on an underdog MMA pick. Loot helps clear the clog in this article. MMA Fighters Coming Off a Devastating Loss - Loot points out that the psychological effects of being rendered unconscious with blunt head trama is quite a bit different than a football team losing 48-7. Loot advises that bettors should exercise caution when betting fights where your guy got splattered in the octagon in his last battle.